When selling a product it is important to forecast the supply and demand. With the upcoming holiday season, manufacturers and distributors need to ensure that they have accurately forecasted supply chain trends. To put this into perspective, think about one of the hottest toys for kids this season: Hatchimals. These are interactive stuffed animals that a child gets to help hatch and then teach to walk, talk, and play. 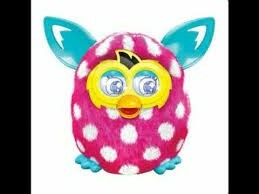 It’s sort of like a Furby that hatches from an egg, adorably poking through its glowing shell when you rub it. The normal retail price for Hatchimals is $50-$60, however, the toy is virtually sold out in stores and many major retailer websites. However, some of these Hatchimals can be purchased on retail markets for $200+. So what is a consumer supposed to do? Just like in procurement and supply chain, buyers have certain options when they need/want a product but the product is either hot on the market or very scarce. A buyer has to weigh the options and make a decision that aligns with the overall needs/wants of the business. 1. Purchase from a third party: Keep in mind though that this option might be more costly. Since the Hatchimals are scarce in stores, but are in demand for the holiday season, resellers can markup their product exponentially. 2. Wait for the manufacturer: Some consumers think that the Hatchimals manufacturer, Spin Master will figure out a way to get more of these toys on store shelves in order to maximize profits while the craze is hottest. The risk here though is if the manufacturer does not produce more Hatchimals within the holiday timeframe. 3. Postpone the purchase: Some consumers have determined that they will wait for the craze to die down. Parents are using an apology note from Santa stating that “Mrs. Claus and I are very sorry. We are patiently awaiting the eggs arrival, expecting in January. Upon the egg being laid an elf will deliver the Hatchimal to your home. Please be patient with the egg laying process, you will get your Hatchimal egg as soon as its been laid!” There are multiple risks here, what if the craze doesn’t die down, what if the manufacturer doesn’t produce more, or even what if the child really no longer wants the toy in the New Year. 4. Avoid the craze: The question to ask yourself here is if the product is really necessary. Sure, the child may really want this toy for the holidays, but will they be just as happy with another toy. Now, let’s apply this Hatchimals example into an MRO product for supply chain purchasers at a plant. Let’s think of the Hatchimals as being a Welding Helmet in the Personal Protective Equipment, Safety category. Now, there are different types of welding helmets, but for this example the craze is to have a custom designed Welding Helmet. This helmet is difficult to find and is virtually no longer in distribution or cannot be found directly from the manufacturer. So similar to the Hatimals example, a buyer can pursue the options listed above, but needs to be wary because the same associated risks apply. So whether it be a Hatchimal toy for the holiday season or a Welding Helmet in the plant, it is important to forecast supply and demand and assess the four options listed above.